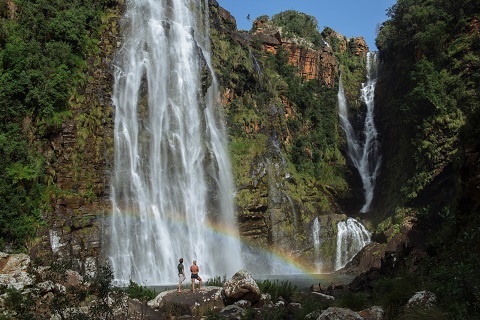 Rhiannan Iffland (AUS) and Gary Hunt (GBR) could choose from majestic cataract falls, circular basins flanked by red rocks and what is said to be the greenest canyon on earth when they scouted the Drakensberg escarpment region of eastern Mpumalanga, South Africa. 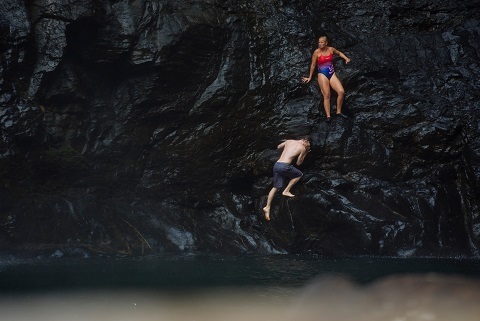 It was the Bourke’s Luck Potholes that attracted the cliff divers’ attention most during their quest for untouched take-off spots a month prior to the first stop of the 2019 Red Bull Cliff Diving World Series. 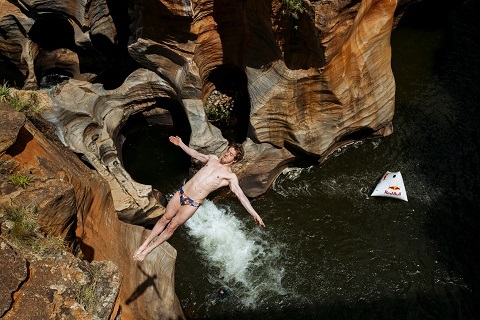 3- time World Series champion Iffland enthused over the adventure into South Africa’s wilderness. While it was the miners’ city of origin that coined the names for the waterfall-rich Mpumalanga province, such as Lisbon Falls or Berlin Falls, during the gold rush of the 1870s, it’s the image of a cliff diver soaring into the jade coloured water basin around Bourke’s Luck Potholes, a series of cylindrical rock sculptures, that now adds to the country’s natural attractions. 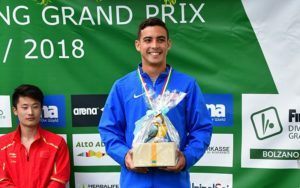 Before the 7-stop world tour kicks off in the Philippines on April 13, the sport’s most decorated athletes seized the cliff diving safari to gain confidence for their acrobatic free-falls from up to 27m at speeds in excess of 85km/h. Although 7-time champion Hunt is the one to catch, the ‘brilliant Brit’ knows it’s all up for grabs this season in the men’s. 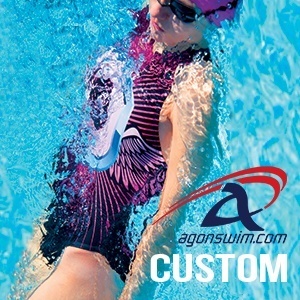 For the laid-back Australian record champion in the Women’s World Series the goal is to be more consistent and build bigger dives while at the same time enjoy the adventures that come with the competitions. Launching from natural rocks and geological formations as majestic as the ones discovered in the Drakensberg escarpment along South Africa’s renowned Panorama Route, and throwing coins over the shoulders into the canyon to leave all bad luck behind, the champions are ready to go about defending their titles in the World Series’ 11th year. Press release and media courtesy of Red Bull.